I am in China. I cannot watch the video posted by Matthew Hampton about the gallery. Happy Thanksgiving to you all. 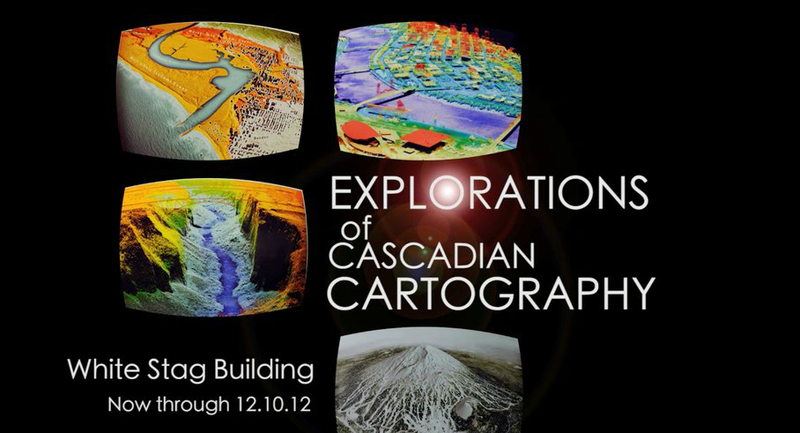 Cascadia Mapping, going on Wed- want to come? using bike chains to represent bike corridors in OR- slaying me. PIck me up on your way. That sounds so amazing. I wish I can some day. Thanks for posting this announcement. We were visiting Portland last weekend and managed to see the exhibit on the day after Thanksgiving. It is located in the hall outside the University of Oregon-Portland branch library. Fantastic, glad you enjoyed it! Are people supposed to just know where the White Stag Building is? Thanks for the comment, we’ll go ahead and add a google map into the article.